CLICK HERE TO DOWNLOAD OUR MUST READ FACT SHEET. I am taking medication at the moment for my pain management; will that be affected by using the magnetic therapy products? Can you wash the magnetic products? Do I have to plug the magnetic underlay in? What if I have a stainless steel disc or plate in my body? Can I use my magnetic underlay with an electric blanket? Can anyone use magnetic therapy and the magnetic underlay. Are there any side effects? Are your magnets north facing? What is the strength of the magnets in the magnetic underlay? What is the different between surface gauss and core gauss? Can you multiply the strength of the magnets? Can I use magnetic therapy or the magnetic underlay when I am pregnant? How long can I expect to see an effect from using the magnetic products? What if I have another question that is not on this list? Q: What is Magnetic Therapy? A: Magnetic Therapy (also known as biomagnetic therapy, bio magnetic therapy of magnet therapy) involves the use of health magnets to assist in reduction of muscular inflammation and pain without the use of harsh drugs. Q: I am taking medication at the moment for my pain management; will that be affected by using the magnetic therapy products? A: No it will not. Literature indicates that magnetic therapy is based on natural laws and is compatible with pharmaceutical products. Q: How long will the magnets last? A: I have been told that a magnet will lose a third of its strength over a 100 years. I have spoken at many groups on magnetic therapy. The oldest product that I heard that was still going was a magnetic pillow that had been purchased from my wife’s family over 33 years ago. It was still kicking on. Q: Can you wash the magnetic products? A: You can gentle hand wash under running water. As for our Australian made magnetic underlay, it has a removable washable cover. A: No you don’t. Our magnetic underlay static health magnets which emit a constant magnetic field so it works all the time as soon as you make contact with it. You are thinking of electromagnetic therapy where a magnetic field is created when you plug it in. You don’t need to do that. A: Many people have titanium or stainless steel implants. These materials are used as they do not react to a magnetic field. So it is perfectly fine. A: Yes you can. Place the electric blanket on the bed first and then the magnetic underlay on top. I prefer that you use low or medium settings. A: Remember if you have a pacemaker, thrombosis, insulin pump, defibrillator or you are pregnant, consult you doctor first before using our magnetic products. A: Because we personally manufacture the magnetic products ourselves I ensure that we use only strong magnets. We use a combination of ceramic, ferrite and rare earth neodymium magnets in different products depending of individual needs. A: Yes they are. Always use the north facing magnets for their acid reducing qualities. Q: What is the different between surface gauss and core gauss? A: The surface gauss is the measurement widely used by most companies. Be aware that some companies may use a core gauss reading which inflates the value of the product. A good example is that 1000 surface gauss equates to an inflated 3950 core gauss. A: No you cannot!! Again some companies will multiply the magnets to give you an overinflated value of the product. An example used may be 20 x 1000 gauss magnets does not equate to (20,000 gauss total strength). It does not work like that. A: There is currently no research on the side effect of sleeping on a magnetic underlay during pregnancy. We recommend that you speak with you doctor for their approval before you use one of our magnetic products. A: Generally speaking from my experience I am still amazed to see how many people get near instant results or within a day of using a magnetic support product. Most people using the magnetic underlay should see some results in two to four weeks, a small amount may take longer, but don’t be surprised if you get results very quickly. 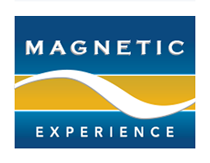 A: As a husband and wife team with over 40 years combined experience in magnetic therapy we have a wealth of experience to share with you on magnetic pain relief solutions. We are a home office so feel free to ring us any time (even weekends) and lets talk about magnets.